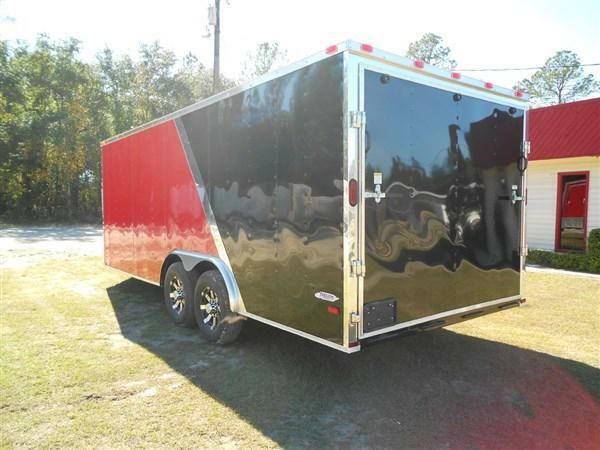 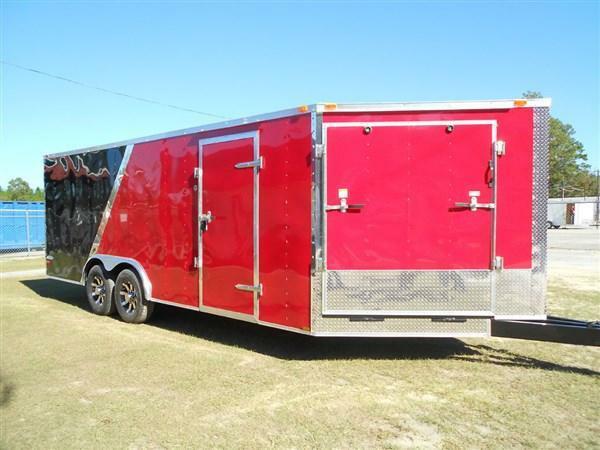 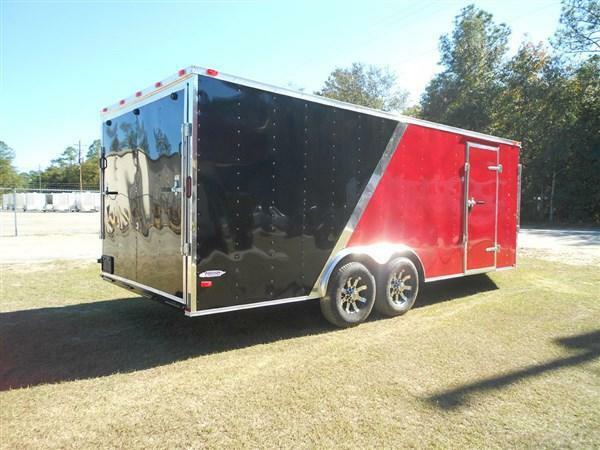 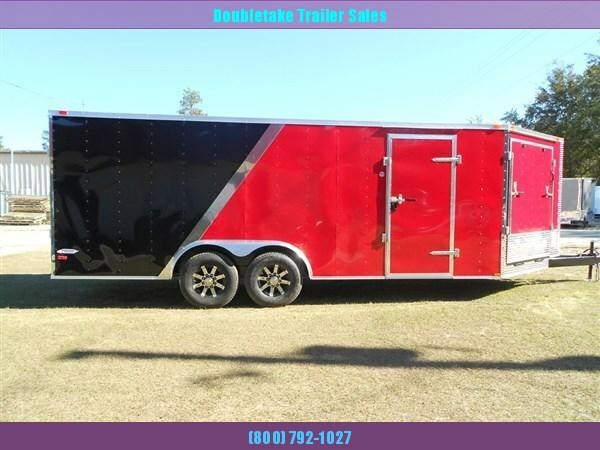 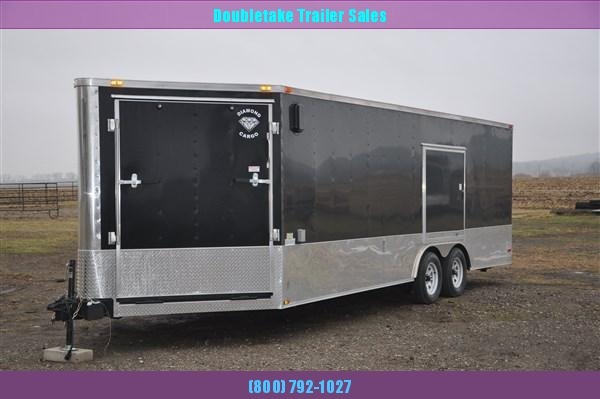 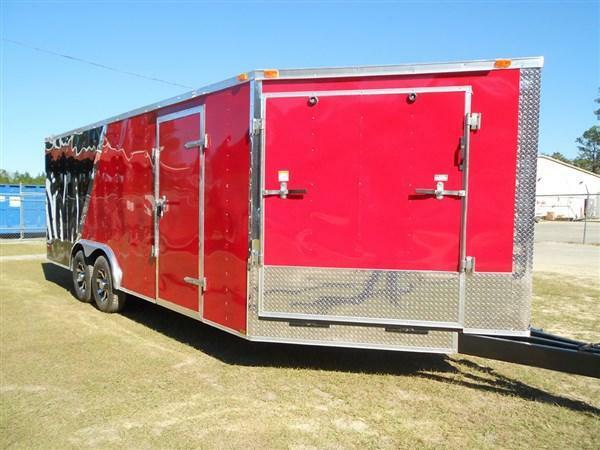 8.5X18 SNOWMOBILE TRAILER. 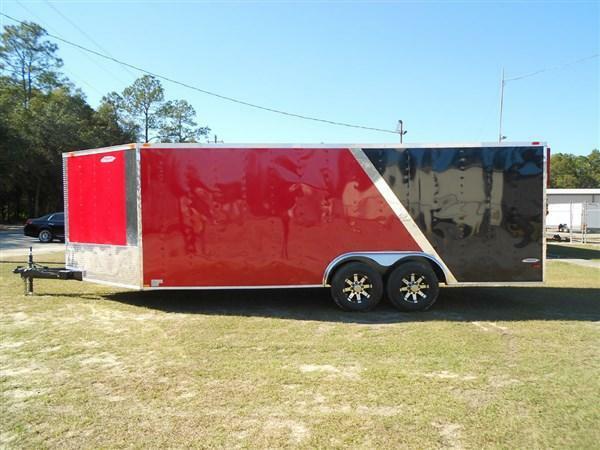 FEATURING CUSTOM EYE CATCHING TWO TONE PAINT SCHEME. 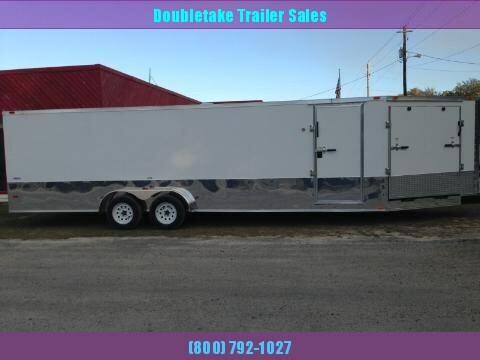 THIS TRAILER IS DRIVE ON DRIVE OFF FRIENDLY WITH 6' RAMP IN THE EXTENDED V NOSE. 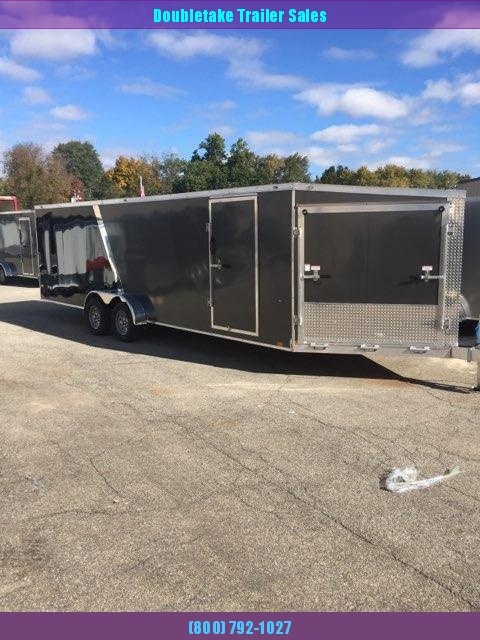 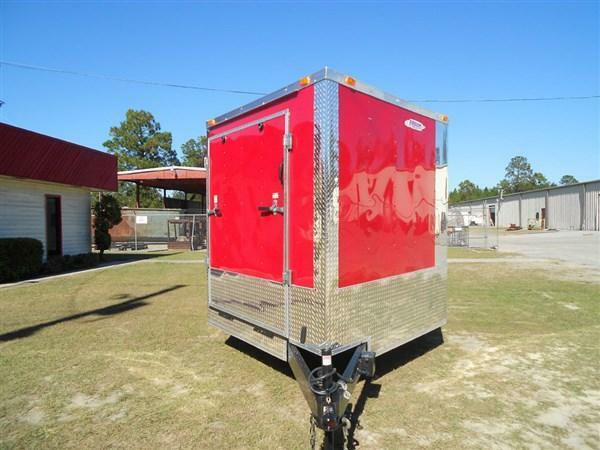 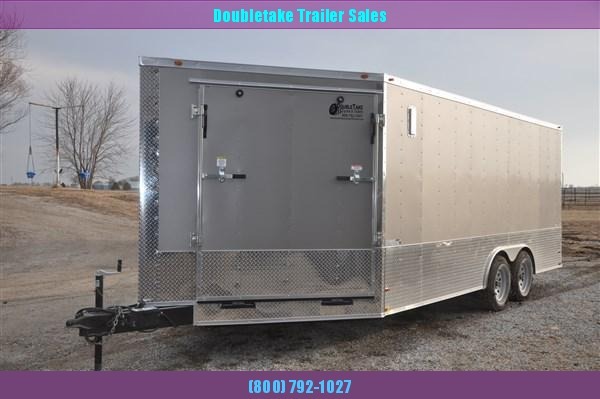 THIS GREAT TRAILER ALSO INCLUDES ALL OF OUR MANY STANDARD FEATURES THAT MAKE OUR PRODUCTS TOP NOTCH. 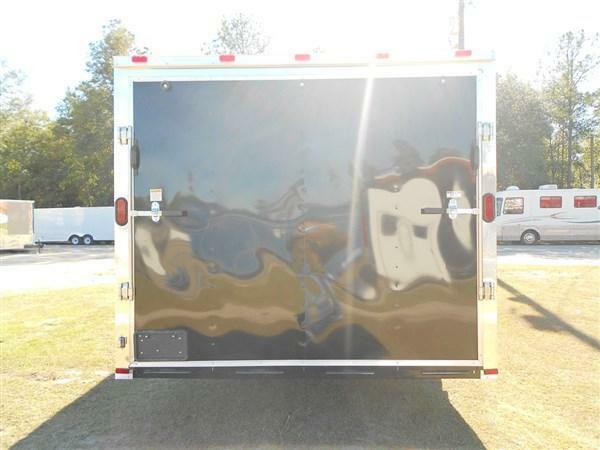 Floor Cross members 16aÂ³ O.C.